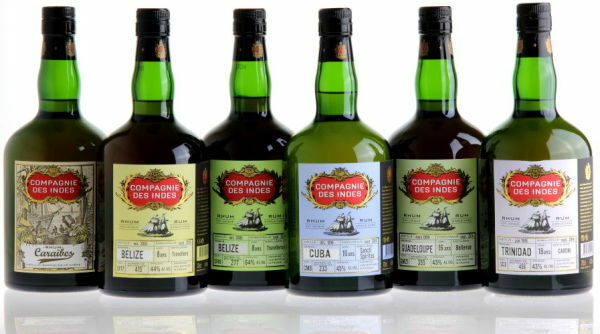 For a company in existence for such a short time, it’s quite impressive what a wide range of rums Compagnie des Indes (which translates as the East India Company, hereinafter referred to as CDI) has managed to put out the door. As of the 2015 release season, fourteen separate countries are represented (2 from east of Greenwich). Unlike the trend in the USA and Canada, where creating one’s own new distillery and brand is more common, in Europe it’s always been more about being an independent bottler (or re-bottler, I suppose). Such enterprises don’t want to reinvent the wheel or invest in technology – though this does in fact happen as well, of course (e.g. Severin Simon in Germany). Their strategy is to exhaustively seek out barrels from either source or broker, maybe age them a little more somewhere, and then issue them under their own label, usually in limited quantities of less than a thousand bottles per release. While it could be argued that this hardly makes them cradles of innovation, it’s tough to fault the results when we can so rarely find the source distillers daring to go in the full-proof direction. Until very recently, when was the last time you saw St. Lucia Distillers, FourSquare, Appleton, Mount Gay, Angostura, Travellers, Abuelo, Bacardi, Flor de Cana or other major brands, go the cask strength route in anything but their overproof 151s? So smaller companies, whose founders often emerge from a whisky background, tend to be more into the full proof concept which has only recently started to gain great recognition in the rum world. Such a person is Florent Beuchet, who pursued international business studies with a specialization as an International Trade Master of wine and spirits in Dijon, France. 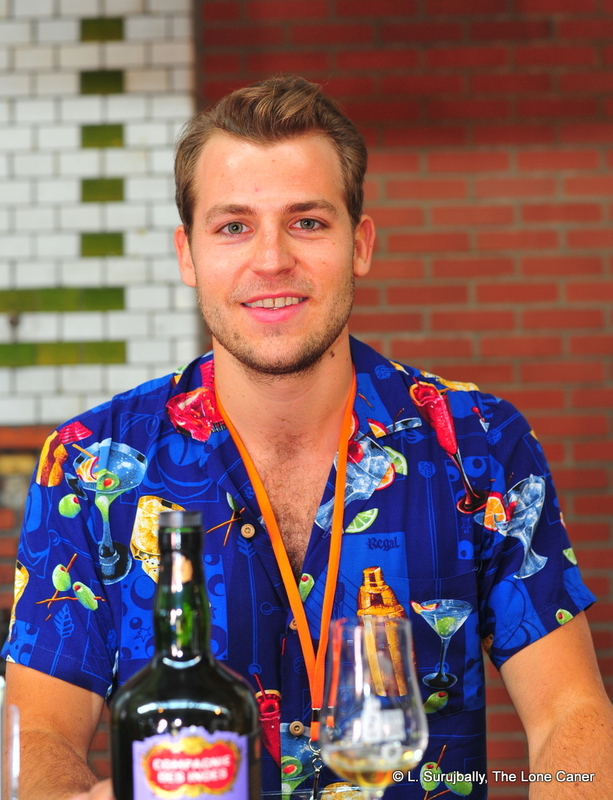 After working part time for his father, who himself was a winemaker and ran a small distillery making absinthe and aniseed, Florent became the brand manager for Banks in New York in 2011 (his family owned shares in the company, and Florent’s father acted as a consultant for it). This lasted for close on to two years, after which he bought a small spirits trading company he named “Diva Spirits” in 2013. This outfit dealt with the import and export of wines and spirits between Europe and the USA, and built on a network his father had created over the previous thirty five years. While his studies had focused primarily on wines, Florent realized after working with Banks that rum interested him rather more: partly this was its versatility (read: absence of rules) but also because he saw that the concepts of terroire, distillation, ageing and blending were readily applicable to rum just as they were to wine. More, he sensed that while the Europeans had a rather more sophisticated view of rums than Americans did, many still labored under the impression that it was a disreputable sort of drink, cheaply made, good only for a mix, and very sweet. The potential of exactingly made rums from single casks issued at full proof was still gathering steam (online reviews of rums made to precisely those specs were just beginning to appear at this time, if you discount Serge Valentin, who’d been issuing notes on them since 2010, and modesty be damned, some of them were mine). So he saw an opening in the field that to this point had been dominated by Samaroli, Rum Nation, Velier, Moon Imports and others, few of which had the visibility and cachet they acquired in the subsequent years. Seeking to put his ideas into practice, he formed CDI in March of 2014, in France. He sourced the rums he wanted via brokers in Holland and the UK, chose only unadulterated rums, and eschewed Rum Nation and Velier’s practice of going directly to the original distilleries in person to root around the warehouses seeking the perfect barrel (as of 2016, he has only been to Cuba, oddly enough). The label design, with its old fashioned seal and fancy stylistic touches at the top was a calculated decision on his part – he wanted to provide something of the atmosphere and heritage of old times, sailing ships and galleons and parchment (one wonders how the famous aphorism of rum, buggery and the lash figured in his thinking, but never mind). It’s noteworthy that he had taken a sense of the room, and understood the need for providing clarity and information – and so each label also had a Velier-style section at the bottom on age, source, strength and barrel. He also doesn’t hide that he is a disciple of honesty in rum making. He has little patience for the solera style of rum making, which he sees as dishonest way to market what is actually a blend with a misleading age statement; and he disdains rectified column-still spirit that is added to with flavourings and sugars and fancy backstories to disguise the fact that it is a commercial low end “rum”…and is then sold to an unsuspecting public as a real rum, when its artificiality is self-evident. In that he is a follower of Richard Seale and Luca Gargano (among others), who have long championed pure rums and label disclosure. 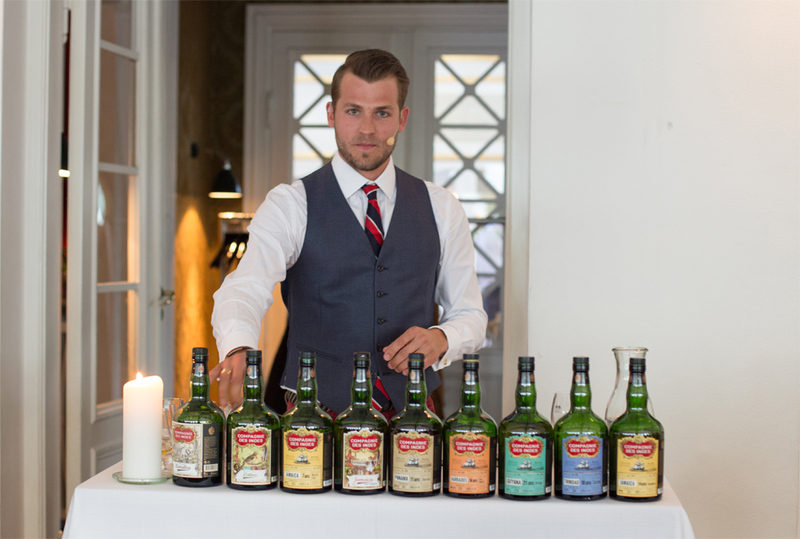 His initial offerings from that year into the market were modest: first a Caribbean blend, then two Belize rums (same source, different strengths), a Cuban, a Guadeloupe and an 18 year old Caroni. From the outset he knew he was going after unadulterated, pure rums, but felt that to make any kind of initial splash he perhaps had to compromise the principle, and so has added 15g/L of organic liquid cane sugar to the Caraibes blended rum and the 2015 release of the Latino, as well as 10g/L to the “Calbar” Jamaican (but to none of the others). To his credit, this information is disclosed and he makes no secret of it. (And given the RumDiaries take on the Caraibes, Florent may have been right, though Josh of Inakena disagrees, finding the dosing too obvious; current releases of Caraibes no longer have any sugar). Age is also exactly what it purports to be — meaning the true age of the rum in barrels; and even in the blends, it is never the oldest, but always the youngest portion of the blend which is noted. Issued to the European market, sales were positive and encouraging. In April 2015 I tried the Cuban 15 YO in Paris, and was mightily impressed, scoring it at 88 points, and remarking that “…If this is anything to go by, CDI is going to take its place among the craft makers whose rums I want to buy. All of them.” My purse and my time are limited so I have not been able to try as many as I would have liked, but certainly the customer response was gratifying enough for CDI to expand into a larger selection in 2015, when they added rums from Martinique, Barbados, Fiji, Haiti, Jamaica, Panama, St. Lucia and Indonesia to the mix. The Haitian rhum was intriguing, what with the recent upsurge in interest in clairins issued by Velier; Fiji has some tongues wagging…but the Indonesia rum in particular excited quite a lot of interest because it was so unusual (and because the distillery was not disclosed) – Florent wanted to recreate something of the flavor of Batavia Arrack, one of the progenitors of rum, and whether or not he succeeded, I don’t know – I just know I liked it quite a bit. Jamaica was also a good issue, because most lovers of the funky style are more familiar with Appleton’s work, not Hampden or Worthy Park, or New Yarmouth which was issued in 2017. So certainly CDI is putting some interesting footprints into the sand of the rum world, and showing that while the trailblazers like Renegade, Samaroli, Rum Nation and Velier provided and continue to make many amazing rums for the consuming public, there remains space for new companies with a slightly different ethos to make their mark and provide greater variety of rums for us all to try. Florent in Berlin RumFest, 2015. The year 2016 suggested that the Danish market full proof editions were no mere flash in the pan. Whether more were issued for them, or the clamour to have a wider distribution of rums bottled at >50% was acted on, the fact is that the 2016 releases sported no fewer than twelve rums bottled at cask strength (most at around 60%). Maybe some kind of “twinning” is being worked on, where a standard table strength rum is issued with its mate offered to the cognoscenti at a higher proof point – this makes for higher prices since the volume issued would be less, but it seems as though Florent has sensed a market opportunity here and is working on maximizing it. Blends which tread the path of the Caraibes will also continue, with rhums like the Tricorne and Boulet de Cannon being issued at intervals. And there’s also a flavoured/spiced rhum called Darklice (licorice and other additions, and the name is evocative if nothing else) added to the stable, which is his first foray in that direction. It’s likely that the current stable of countries will not be much expanded upon, though of course there will continue to be releases from each. And just to say “Martinique” is an oversimplification, since the particular rhum from there that CDI issued was from Dillon, and that is a small percentage of the distilleries over there. So while they are more expensive than rums from the English and Spanish Caribbean, they can’t be entirely ruled out for more releases, and of course there will always be rums from Barbados, Trinidad, St. Lucia, Guyana and Jamaica out there. My own hope is that he won’t be seduced by the sales of the spiced and blended variations of his line, but will sleuth out little known islands and distilleries and geographical regions and do what Luca has done – bottle and promote rums we haven’t seen in a while, or ever, which we’d like to try and which exemplify the global reach of the spirit. They may not all be the best available (Fiji did not find much favour with me, sorry), but you have to give points to the new kid on the block, who’s really doing something interesting for rum. That’s worth ten truckloads of Don Papa right there. A list of rhums issued by CDI as of September 2017 is below. This is one of those times I really think I’ve got them all, but as always, if you know more, send me a correction with the specs. Just wrote about the Jamaican 58% you guys got. Wow! Great stuff. By the way, one of the new single casks is a new Barbados Foursquare 16y, but at 62% this time.